10. Personal taste. If I’ve read a book and liked it, I trust to recommend it. Keep in mind censorship is a big no-no in the library world, so even if I don’t love a book doesn’t mean I won’t buy it if it fits other criteria. 9. Try to think of one student, one patron that will read it. If I can’t picture it chances are I’ll move on. 8. Fits the curriculum, or fills a gap in the collection, or covers a current topic. If I can clearly see how a book will fit in, I’m more likely to buy it. This is especially true when it comes to buying non-fiction. 6. Books made into movies or TV shows. Kids will ask for them! 5. Requests from students/patrons. This easily makes up 50% of what I buy. 4. Reviews, especially starred reviews, recommendations from trusted sources such as other librarians, or alternatively popular titles at the bookstore. 3. Curb appeal. I know…I know, don’t judge a book by its cover, right? But your target market, kids and youth, in most cases will not read your book if the cover looks bad (even if the storyline is enticing). 2. A story well told with an enticing storyline. There you have it. 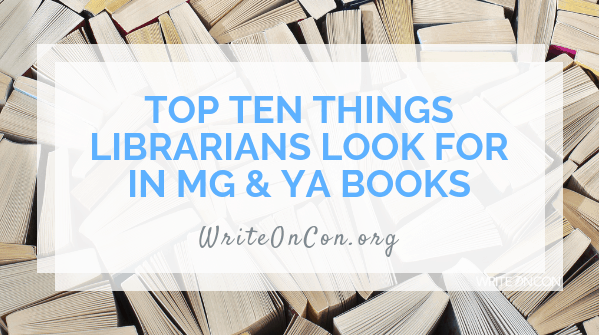 I believe you should write what you want to write, so I hope you take this list and use it as a way to position your book to agents, librarians etc. vs. thinking you have to write XYZ to succeed. Stay tuned for part two for what I look for when purchasing picture books. My new novel, The Art of Being Remmy, ticks a lot of your boxes. My dream is to reach MG girls through libraries and schools. But my illustrated novel is self-published (yikes! I know.) Do you have any advice how to reach librarians and teachers when most traditional book review journals are closed to indy publishing? Thanks for the question. So, my suggestion is to start networking with librarians in your area (this can be done online, face-to-face at conferences, in-person or by email), keeping in mind librarians are BUSY people. Think about giving away a couple of copies to your local librarians and chatting to them about the book. You could also look into Skype for Educators and get yourself on the list of experts (this has the potential to let you connect with students all over the globe). And above all else have confidence in your work (if you believe in your work so will others). Thank you Rena for your advice. Yes, I definitely want to give my local libraries copies. Their middle grade collections helped me so much when I was learning to write. Not sure I have the confidence to Skype, but I really do believe in my book and its message—especially in today’s need for Girl Power.